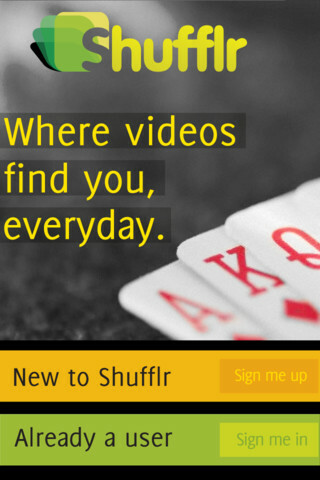 For this review, we took a look at Shufflr, a social video app developed by Althea Systems. And while it works great on our iPhone (we tested it out on a 4S), we absolutely adored the experience the app delivered on the iPad (tested on an iPad 2.) If you have the option, it’s an app that truly benefits from the size and functionality of the iPad. New in Version 3.2.0 are all kinds of new, iPad-friendly features. 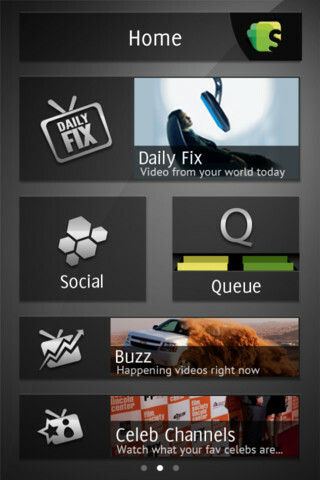 We loved the Daily Video Fix features: there’s a great multi-touch UI that’s a dream to use, plus a timeline of your Daily Fix videos. The timeline feature is great, and makes it very easy to recall past videos that you’d like to watch again. We’re always suckers for a good-looking app, and Shufflr definitely delivers in that department with a gorgeous color palette that looks great without stealing focus from the videos you’re trying to watch. Browsing through the various videos on offer is easy, and the UI is silky smooth. But Shufflr is more than just a pretty face: there are exclusive celeb channels so you can see what your favorite celebs are watching (or creating.) You can also see what your friends have been watching, and then share those videos on Twitter or Facebook. 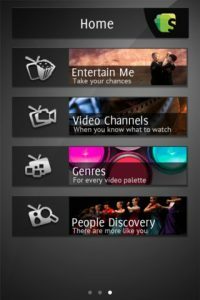 If you always feel like you’re behind on the latest funny videos or breaking news, keeping Shufflr on your iPad or iPhone is certain to make you feel more connected than ever before. We love that there’s a queue system as well, and while we think that signing up for an account provides a richer experience, it might turn off potential new users who want to try before they buy. 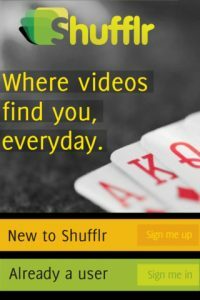 If you can’t get enough viral videos, or just need a new way to keep your fingers on the pulse of pop culture and newsworthy happenings, Shufflr is definitely worth a download. 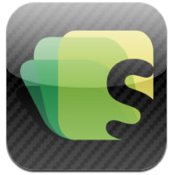 Shufflr is compatible with iPhone, iPod touch, and iPad. Requires iOS 4.0 or later.